Publishing guest blog posts is one of the best ways to expand your reach and build your audience, especially when you’re just starting out. During the first year that MatchStick Strategies coordinated content for The Photo Life, an educational blog for professional photographers that publishes 90 percent contributor content, The Photo Life grew to 25,000 monthly unique visitors. We can thank our faithful, generous contributors for this rapid growth and for the big-picture business goals we’ve reached because of them. 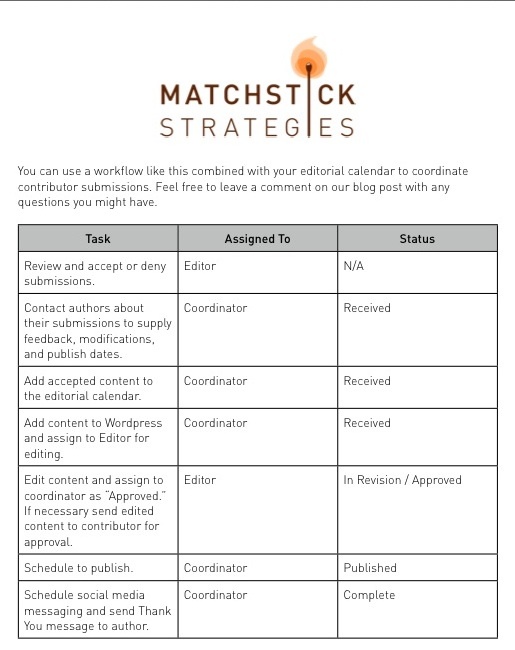 While it’s worth the effort, coordinating contributor content isn’t easy. It takes a lot of clear communication, brainstorming, editing and planning. Since I started working on The Photo Life, I’ve learned (the hard way) some valuable tips and tricks for collaborating with contributors to create quality content. Before I start sharing my secrets, I want to identify two main methods to coordinate contributors. 1. Reach out to specific contributors and request content. 2. Accept online content submissions from your audience. There are pros and cons to each method. Reaching out to specific contributors enables you to enlist higher-profile bloggers who wouldn’t normally submit content on their own. Collecting content from the masses enables you to involve contributors who you don’t even know yet! Most likely, your contributor strategy will consist of both methods. The tips shared in this article apply to both methods of coordinating contributors, unless otherwise specified. When I began coordinating content for The Photo Life, I felt desperate for contributors! Desperation led to a mistake: I didn’t give clear information to potential contributors — I was afraid of scaring contributors off by being too specific. I shouldn’t have been afraid of scaring off the wrong contributors; I should have focused on openly sharing important details to attract the right contributors — the ones who would take the task seriously, invest time and energy into the process, and truly share value with my audience. I soon realized through conversations with contributors that giving them clearer guidelines actually empowered them to create better content more efficiently. It also impressed contributors, cut down on my workload, and made me much more efficient. When trying to identify clear guidelines for your blog, imagine your contributors sitting down to write. What do they need to know? What topics are best to cover? What areas of expertise can I specifically share with readers? How should I format my article? Is it important to include sub-headers or bulleted points? What value does it need to provide for this audience? Does it need to be hyper-practical or inspirational? Should it cater to beginners or experts? How long should it be? Does length matter? Once you have clear guidelines in place, the best place to share them is on a guest blogger page on your website. Here’s a list of things to include on that page. Your mission and vision: By sharing the mission and vision for your blog, you give contributors a reason to invest in what you’re building. Make sure to set parameters around content that’s considered purely “promotional” — and therefore won’t be published. These editorial standards will inspire contributors as they’re creating content. Standards also hold contributors accountable after they submit content. Copyblogger’s guest blogger page is an example of how to clearly communicate your mission and establish expectations for providing valuable content. Specific details, like word count, whether to include images, and what specifications they must meet with their bio and head shot: This information proactively answers all of the tedious, frequently asked questions. You’ll get content quicker and spend less time sending emails when you give these answers in advance. 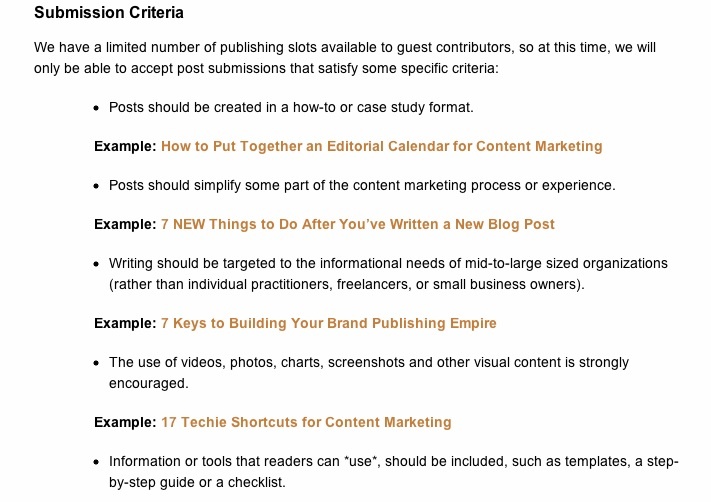 This section of Problogger’s guest blogger page shows specific guidelines for formatting blog posts. Examples of topics that your blog covers, and links to quality examples: Make sure the content you receive fits within your editorial strategy by listing topics that you publish. If you really need content about a specific topic or two, openly share those topics. Take this one step farther by linking to at least one example of quality content for each topic. The team at Content Marketing Institute uses its guest blogger page to show contributors the specific topics that are published on CMI. Notice the links to specific blog posts! Expectations for processing and editing: Explain to contributors your process for coordinating content, reviewing submissions, and editing drafts. Also, clarify that as the editor of the blog, you have the right to make changes to ensure all content that’s published is high quality. Setting expectations before someone contributes content makes it easier for you later when you encounter a situation where major edits must be made. What’s the best email address to use to submit my article? How should I attach content and images? What should the subject line be? How will I know when or if my article will be published? NOTE: If you’re only collecting content by reaching out to potential contributors, you can create a private website page or a document that you send to those contributors. These tips are helpful to share with both specific contributors that you’re requesting content from and contributors that are planning to submit content online. When you request content from contributors, coordinate with them by setting a draft due date that’s at least one week before the publish date. This reduces stress and encourages efficiency because contributors won’t be tempted to cut it too close to the actual publication date. They’ll send their draft in advance, reducing editing time. Also, if you need to shift publication dates, you don’t need to compose another email to tell the contributor. When you collect submissions, get everything you need up front — whether that’s a head shot and bio or a featured image. This means you won’t have to track down missing items later, which takes time and can give you lots of headaches! Don’t hold back on editing content or making changes because you’re afraid of hurting someone’s feelings. You can treat your contributors extremely well and stay true to your content quality standards. It’s all about how you say things. Often, your contributors rely on you to guarantee that their content is high quality and makes them look good. Don’t let them down because you’re too timid. If it makes you feel better, commit to letting contributors approve the final draft when you make major revisions. When you email them the draft, set a deadline for approval. Let them know that if you don’t hear back from them by that time, you’ll assume they’ve approved. When your blog is still new and your audience hasn’t been established, lean on your connections to introduce guest posts on your blog. 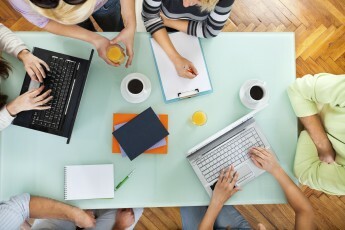 Encourage this core group of guest bloggers to share their posts with their own networks. When you’re ready for more contributors, ask these guest bloggers to suggest friends and colleagues who are qualified and interested in contributing. To kick-start your contributor coordination efforts, we’ve created sample work flows for you to use as inspiration for your blog. Brainstorm a list of potential topics and contributors. Collect content submissions or reach out to ask specific contributors to contribute. Provide feedback, request revisions and make edits. Schedule content to publish and schedule social media messaging. Send a Thank You message to the author. We’ve gone into more detail in the following specific workflows. 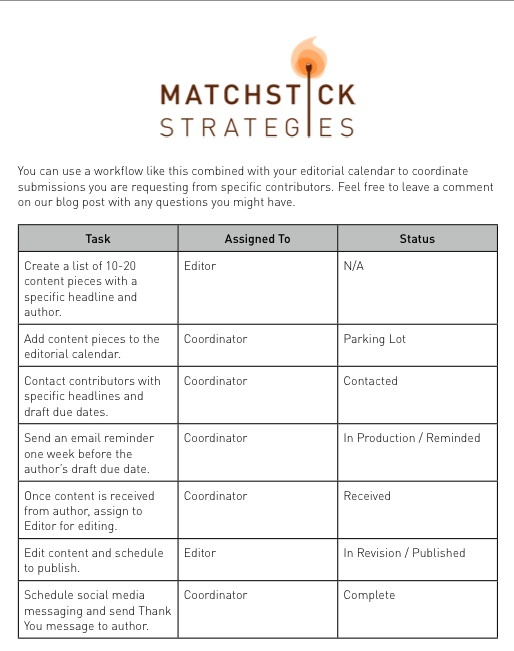 What are some tips you have for coordinating contributor content? To learn more about blogging, check out our Ultimate Guide to Blogging. Interested in submitting a blog post to CMI? You’ll find our blog guidelines here. Elizabeth Ippolito is cofounder and Chief Strategy Officer of MatchStick Strategies, a content marketing agency that helps small businesses reach big-picture goals. You can find more musings from Elizabeth and the MatchStick Strategies team on Twitter, Facebook and, of course, The MatchStick Strategies Blog.